Blog Quick Quotes: Be Bold... with Barb! Hi! It's Barb and I thrilled to be hosting the blog today! Quick Quotes has so many great new products they are releasing and I am excited to share some of them with you today! 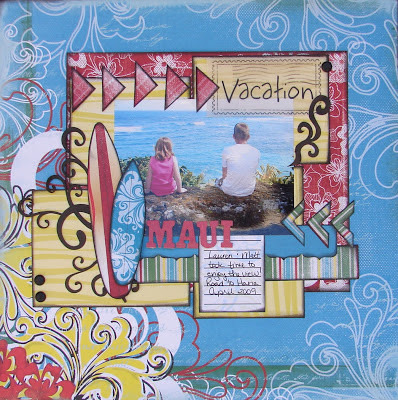 Check out this vacation layout I created using their new "Be Bold" line! Aren't the bright colors fabulous?!! The reds, yellows, blues and greens are so bright and bold... perfect for this photo! 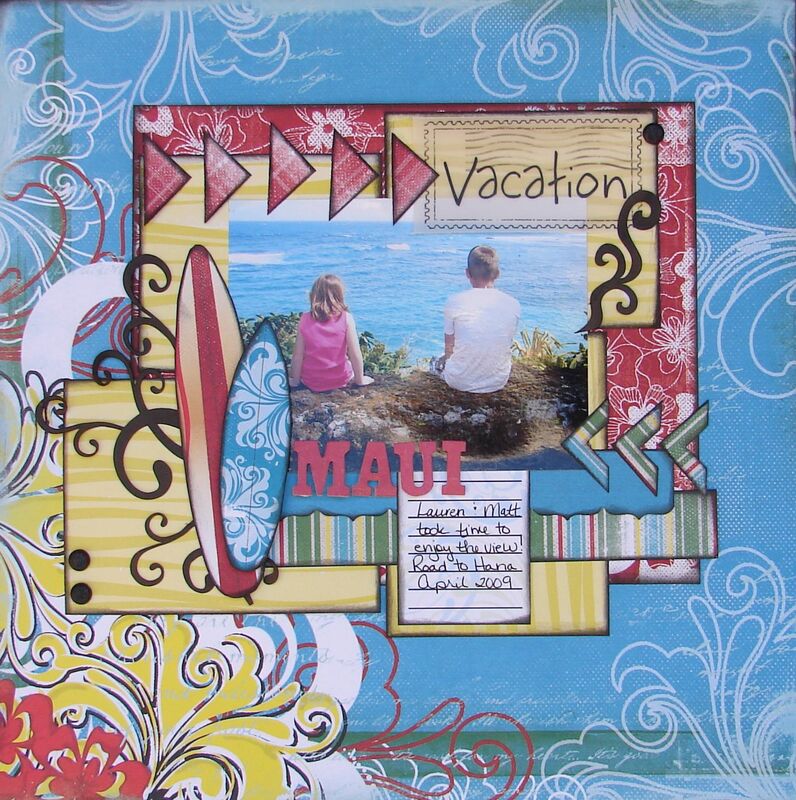 The Vacation vellum is from the new Quick Quotes Bundles: Holidays. The journal card is also from the Quick Quotes Bundles: Holidays package. I used PowderPuff Chalking Ink in Midnight Confessions and Coal Miner to color the chipboard accents. 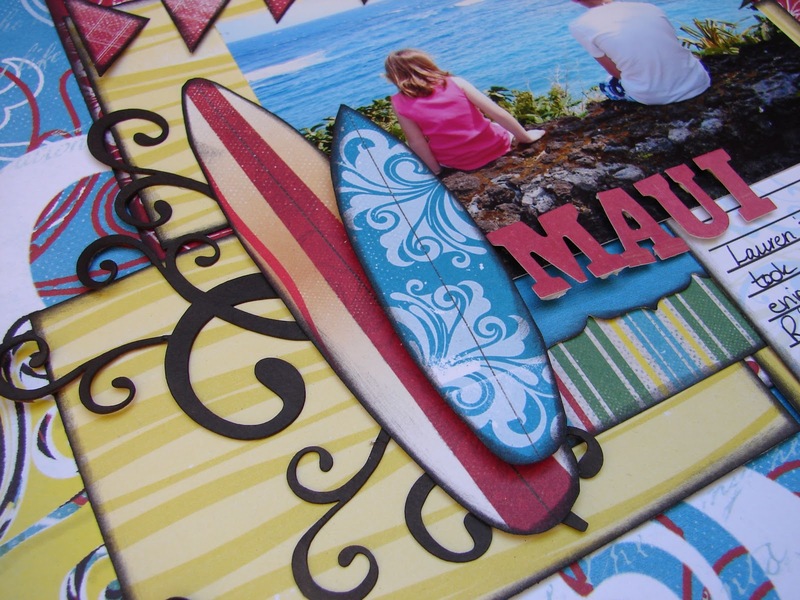 The surfboards were fussy cut from a piece of Be Bold Patterned Paper. Barb, I LOVE this! 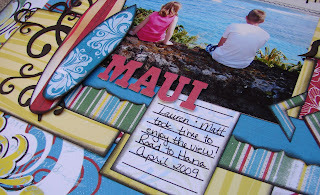 The arrows and surfboards are amazing and that vacation vellum quote is so perfect. This is just so perfect! Love the surf boards! Fun page with all the summer accents. Love the colors and the surfboards really finish the page. Great job.